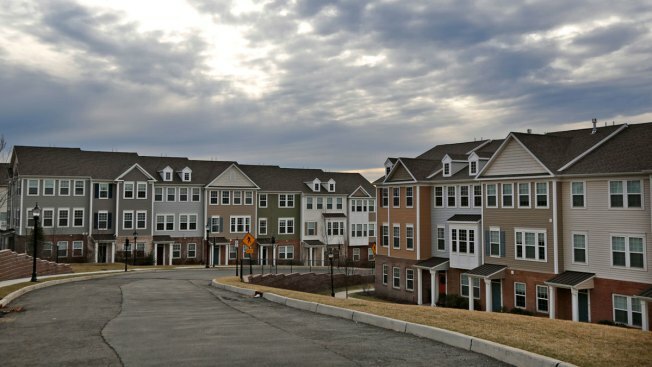 New townhouses are seen in Wood-Ridge, N.J., Monday, Feb. 26, 2018. Freddie Mac reports on the week’s average U.S. mortgage rates. Long-term U.S. mortgage rates are ticking up slightly this week, the 10th increase in the past 11 weeks. The average rate on 15-year, fixed-rate loans rose to 3.91 percent from 3.90 percent last week. The Federal Reserve on Wednesday raised a short-term rate that banks charge each other, and rates could continue to climb. That Fed action caused yields to rise for the 1-year U.S. Treasury note, which could push the cost of home loan higher. Higher mortgage rates have yet to temper demand for homes, but they are rising with prospective buyers fighting over fewer listings and as price gains for property outpaces wage growth. Sales of existing homes rose to a seasonally adjusted annual rate of 5.54 million, the National Association of Realtors said Wednesday. The median home sales price was $241,700 in February, a 5.9 percent increase over the past year, are outpacing wage growth.